This is an easy, inexpensive way to experience well-organized galas by “peeking through the window” of top producing benefit auctions — without incurring the $250 event ticket and travel expenses. Includes 10 catalogs, each with a short summary highlighting specific elements to note. These gala catalogs will be adored by you and your auction committee. About once a year, I find myself with an inventory of extra auction catalogs. I release them to make space in my office. Each package I send is like mini carnival of auction ideas you can use in your event. I really enjoyed this package. I was interested in what others were doing, as here in Nebraska you can go to any charity auction and see the same thing. This was like a Pinterest of auction ideas, in old school-style (flipping pages)! 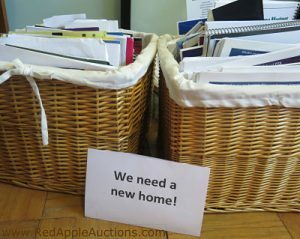 It’s neat to see the different types of booklets and their goals for their auction. We’ll be using some of these ideas. This is a low-cost way to experience well-organized galas by “peeking through the window” of top-producing fundraising auctions — without buying the $250 event ticket and spending travel dollars to fly to the city. 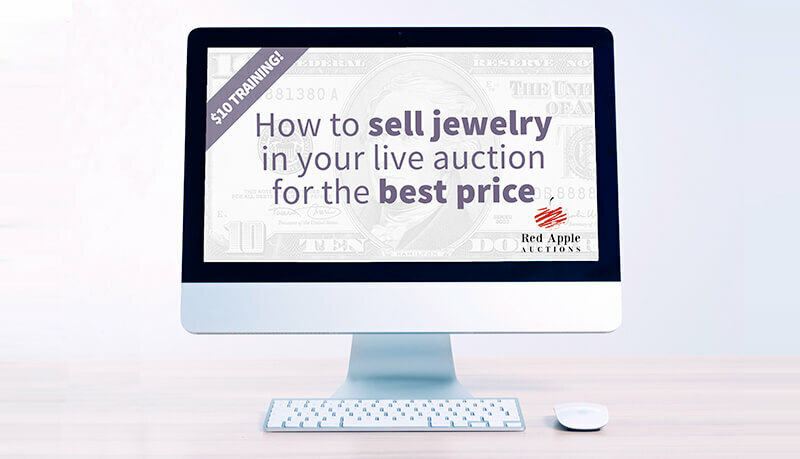 Whether you live in Boise or Baton Rouge, explore auction items, timelines, layouts, raffles, and activities from some of the quality auction catalogs and programs I’ve saved from ballroom tables and floors across the country. My husband was laughing at me. He saw how excited I got when I received my package. He said that I looked like I was opening up a surprise birthday present. There was so much great information and I’ve been leafing through them more than once since I got them. They arrived promptly, your notes were perfect (and were a very nice bonus) and I got a lot of ideas that I’m sharing with my team. Keep sharing your auction love. It sets you above all others. You get 10 benefit auction catalogs filled with juicy ideas from great galas. I regain some shelf space. The modest fee includes postage. Each package will be delivered via priority mail into your hot hands. Gala Chairs use catalogs like these to research fresh ideas. To be upfront, these are used gala catalogs saved from the garbage heap. They might be a little dinged up. You might notice a splash of wine or a torn corner. But even with these little dents and scratches, the catalogs are 100% useful. Place your order today before the doors close on this limited time sale. Keep in mind — I do not “produce” these materials. When I’m sold out, I’m sold out. These are released only when I have excess inventory beyond what is needed for my own purposes. I really liked the catalogs, especially the summaries on the front and the notes that you wrote in them (very insightful). I have a lot of new ideas that I hope to be able to use at our next event. I’m very glad that I decided to order them! I LOVED the catalogs! I scanned them all as soon as I got them, then handed a bunch of them off to my committee members to get their “best of auction catalog ideas”. I appreciate all the notes you made for me. One of the things I realized is how darn well we have been doing with our catalog as well as our annual event! We may change up our raffle, we are currently using the “best of live” but am interested to see what other ideas we can garner from other events. One of these years we’d love to have you come to Rochester for our event!! Thanks for all you do to help fundraising events be the best that they can be! The catalogs you sent were very helpful. Lots of useful new ideas to switch things up a bit, and try something new. I really liked viewing other catalog formats, and got some good ideas for changes from that too. My coworker and I loved your catalogs. Because you added event details to the inside cover we were able to envision each event. I started collecting catalogs from other people’s events when I joined the auction procurement team for The Center for Great Expectations so I could get an idea of what people were putting up for auction and what I should try to get for ours. 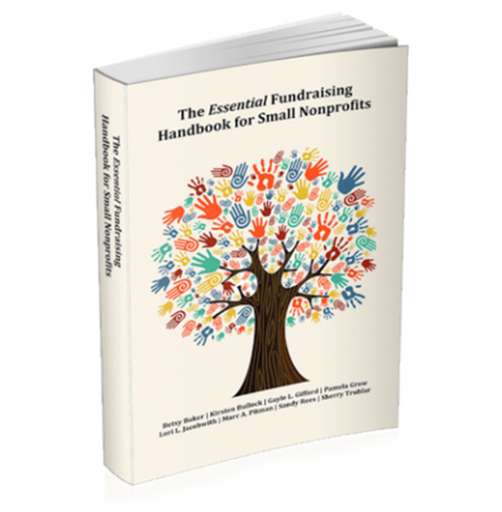 The catalogs you sent are SUPER helpful in seeing who is doing what in the fundraising world and getting ideas for different layouts and approaches to getting the info out there to the attendees. I loved your notes in each one, too. It was like having a second set of eyes looking at them! Thank you for boosting my supply and my brain activity! Sorry it has taken me so long to get back to you. You were sorta’ right: I was in kind of a coma — from a major remodeling project. However, I could easily have been recovering from a concussion caused by hitting my head on the floor after falling down from the shock of all the auction catalogs you sent — and then re-injuring myself when I realized how every catalog was perfectly suited to exactly the kind of charity I represent. You really did floor me with the selection.Thank you so much for such impressive service. You’re awesome! I think the main thing I came away with was that we are actually doing a pretty good job. And, although we are a school foundation, we are somewhat different than most of the school fundraising galas you sent. We are a public school foundation, and we raise money for our entire district (7 schools in all, PreK – 12) we have a room full of people who, although they believe in the cause, are not so tied in to the success of the 3 other elementary schools that their child does NOT go to. So things like school/class projects, day with the principal, etc, actually do very poorly at our auction. We don’t have enough parents at any one school attending to make those a success. Fortunately, all the students funnel into one middle, junior, and high school. So, perhaps it would be better to compare us to foundations in general, not as much school foundations. I would say our biggest issue is keeping a VERY raucous crowd somewhat focused on the Live Auction. We do really well, but it’s tough to keep the entire room focused on what we are doing and the mission. We’ve always used professional auctioneers, and even they will tell you we have a fun but tough crowd. I’ve attached last year’s catalog for you to check out, to give you an idea of the feel of our event. Thank you for your prompt attention into my order. Your attention to detail is noticeable in everything. I love it! The regular emails and video clips that you’ve sent, specifically to me, are nicely personalized and make me feel like I’m talking to a friend who wants to help. Even the “voice mail” option where I can record my questions or the video clips that you send to explain the benefits of specific strategies, are wonderful ways of communicating. The type-written notes nicely written and pasted on the catalogues were clearly written and quickly pointed out what to do or not to do in your catalogue. Things such as numbering the pages, writing an appeal, having a printed out bidding number instead of handwritten numbers, etc. are easy ideas to implement and valuable to a volunteer who is simply guessing at how to do this. The catalogues were promptly delivered. It’s nice to see the variety of items that others are selling, some similar to ours, some quite different. I would have also like to have seen how much the items went for, although I know that depends on a lot of factors. I did get a lot of ideas and receiving the catalogues was motivating. If some of your items for sale were less costly, I would definitely buy more because I find it motivating to read your “stuff” and to listen to you talk. I’m sure you are at the reason why some of these auctions are so profitable. The catalogs have been VERY helpful. They arrived faster than I thought they would (thank you!! ), and the handwritten notes have absolutely helped guide us. There are some wonderful ideas. I’ve already taken some of the information to my committee. Thank you for the package – yes I did receive and was surprised at the hand written notes – they were great! You sent a nice selection giving me a range of different style events to pick nuggets from. I need to take some time and go through them a little closer, I’ve only had the chance to read through some of the notes and quickly look through the catalogs. I know it was generating some ideas for me when I started my review, so I have no doubt new ideas will be coming from these. I continue to go through the catalogs you sent virtually weekly. I keep getting new ideas both for how to organize our catalog this year, offer value to our sponsors, for ideas for the silent and live auction. I found this extremely valuable and hope that I will order these again in the future. Thanks so much for offering this. The catalogs arrived very promptly and it was a lot of fun for me to curl up in my favorite chair and look through all of them at once. I will definitely reorder some more at some point. Although I do not volunteer to help assemble the catalogs or bid sheets, I like having catalogs – both good examples and poor examples – to share with that committee. I still have a couple of procurement tips that work well every time that no one in the sampling of catalogs seemed to have tried. I guess I’ve either hit a home run with them – or else I’m way out if left field. Have a great holiday weekend. And I’d love to hear procurement ideas from you at any time. Loving the auction booklet collection! Before I go to bed, I am pouring over them (yes, I am that nerdy! ), taking notes about take-aways from each and jotting down ideas on how we can incorporate elements into our own auctions and program booklets. I’m also feeling really good about our own booklet which compare quite nicely to the ones I am reading. It’s great to be able to see how others do it, organize it, etc. My intern is typing up my notes which I will then share with the auction committee as we look to grow the auction. We went to an online bidding system last year. You had commented at some point that this will raise our donations if we didn’t already have the key elements in place, but donations would stay about level if we did. I definitely found that to be true! We were already doing so many of the points you make about how to have a successful auction. The issue we always have is with checkout. I have things numbered, enveloped organized, etc and checkout always seemed to be chaos with high levels of frustration from staff (who needed time to process who won what and get organized on what everyone owed) to guests (who wanted to check out when they wanted to. I really enjoyed this package. I was interested in what others were doing, as here in Nebraska you can go to any charity auction and see the same thing. This was like a Pinterest of auction ideas, in old school-style (flipping pages)! It’s neat to see the different types of booklets and their goals for their auction. We’ll be using some of these ideas. I loooooooved these catalogs! In fact, my husband was laughing at me. He saw how excited I got when I received my package. He said that I looked like I was opening up a surprise birthday present. There was so much great information and I’ve been leafing through them more than once since I got them. They arrived promptly, your notes were perfect (and were a very nice bonus) and I got a lot of ideas that I’m sharing with my team. Thank you, thank you, thank you! Keep sharing your auction love. It sets you above all others. I was very happy with the catalogs you sent me. I have shared them with our Executive Director. All of the notes on the catalogs were a BIG help. I did like one of the ideas a lot and have expressed this idea to her. I received my packet of auction catalogs in the mail today. Your attention to detail is stellar. I know that I did not input any information regarding my organization when I made the catalog carnival purchase. Which means you all did your own research and homework on my organization, Camp PARC. You included in my packet, auctions/galas that share a similar mission and/or serve similar populations. Amazing! Thank you, Sherry and everyone on your team who helps get these catalogs out and marked with such helpful information. I loved the catalogs you sent, and would love to see more of them! They arrived promptly, and your handwritten notes were helpful. You mentioned how many people attended an event, the event highlights, what worked best for each charity, and what suited their particular audience. I found it interesting to read through the auction packages each group offered – sometimes it was really high-end travel and money-can’t-buy experiences that told me the charity has well-connected and well-to-do board members; sometimes it was less expensive items that worked well and were fun to bid on, too. 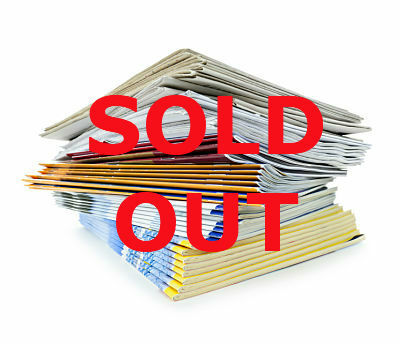 In addition to the catalogs, I love your energy and the upbeat tone of your emails and website content. Like you, I love working with charities to make their events shine and to raise money for their great causes! It surprised me how quickly the catalogs arrived – thanks for being so prompt. It was interesting to see how other organizations handled their program and catalog and gave me several ideas about how to set ours up. I also got some ideas for auction items that were helpful and we’ve borrowed several of those ideas for our auction this year. Also helpful was seeing how different organizations grouped auction items in their catalog. The catalogs are definitely a great window into what is going on in other areas, and a convenient way to compare what we offer versus what others do. They give us an insider track without spending precious resources and time going to other auctions. We can peruse everything from theme, program and menu items to see what our audience has the opportunity to experience elsewhere and have come to expect. It’s also interesting to see how organizations are implementing the tips you send out in your newsletters. And the handwritten notes are a real bonus, especially number of people in attendance and audience demographics. Thanks for a great product all around! I am very happy with the catalogs. Your hand-written comments regarding the auction were definitely worth the money I paid for the catalogs. I got a lot of new ideas and inspiration from the catalogs. More than anything I learned that there is no one way to do an event and I need to let go of my old notions of what should be included at an auction. Loved the catalogs!!!! Loved the hand written notes!! My team seemed lukewarm on them at first and then our next meeting the ideas started to fly. We make announcements about our auction each week at our Rotary meeting and the catalogs are offered to folks who are looking for ideas and sharing ones they really liked. I have done a zillion events but never an auction so I have to say I was nervous about this responsibility. We have a goal of $50,000- Fifty and Fabulous! And I am confident we are going to get there! Thank you so much for sharing your talent and wisdom! You have gotten me excited to chair this auction. Sherry, first off I want to thank you for personally commenting on the auction program samples I ordered from you. This really shows you are looking at EVERY order. My thank you letters to my donors goes a little further. Because I take the time and write a clever description for EVERY item donated, not just the pricy ones. Thanks for all you do. You are helping so many more people than you can even imagine. I found the catalogs very helpful and got some useful ideas for the next auction. Your hand-written notes were also excellent and helped me focus on different things. The catalogs were great and I can’t believe how quickly I received them. I must add that your handwritten notes made me feel a personal connection and that I was an important customer. We have been doing a silent auction the last 2 years for a women’s committee raising funds for an early childhood literacy project. I have introduced the committee to your work and I am meeting with the auction chair next week to share the catalogs. I received my order of the “Catalog Carnival” and found the variety of the auction catalogs and your notes most useful. We picked up some tips on what would work for us and what might not. The catalogs have been helpful. They gave us some new, good ideas and made us think about others. After 19 years, things were getting a little stale with the same old, same old. My organization has never done an auction before, and as I floundered about trying to get ideas and inspiration it was a great relief to receive these catalogs. They absolutely opened my eyes to new possibilities and new directions.